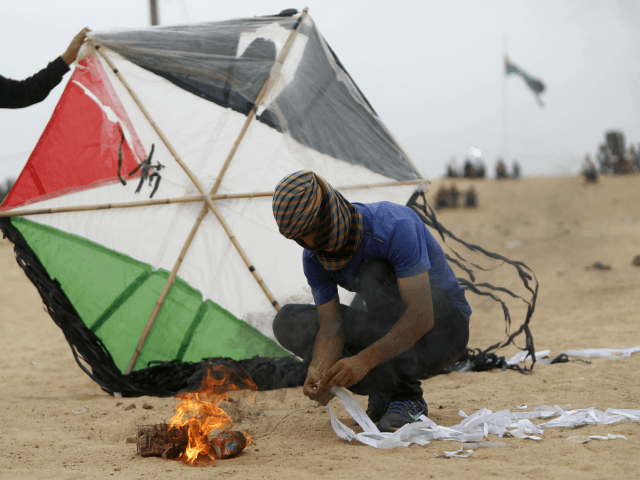 The Times of Israel reports: Seven fires broke out in southern Israel on Sunday sparked by incendiary balloons launched over the border from the Gaza Strip, Israeli fire and rescue services said. Fires were reported near the border-adjacent communities of Be’eri and Re’im as well as the nearby Kissufim Forest. Firefighters with the assistance of the KKL Jewish National Fund and Parks and Nature Authority put out the fires by Sunday evening, officials said. Over the weekend, more than a dozen fires were sparked in southern Israel as a result of the incendiary balloons from Gaza, after a several-week lull in the cross-border arson attacks. In response, IDF aircraft on Friday and Saturday fired at cells of Gazans in the northern part of the Strip as they launched the devices towards Israel.